Suchitra Bhosle comes from a family of artist, and when she was young she started observing the world through the artist’s filter. She was always very perceptive and as a child had the ability to find beauty everywhere around her, even in mundane objects she found in the kitchen, backyard or in a book. When Bhosle was nine years old she won her first award at the art competition. Her father was a hobbyist painter and she was always keeping him company at the art shows. When she wasn’t painting or daydreaming, she was reading art books. Her oil paintings are bursting with life. Colors are bright, figures are proportional, symmetrical and in touch with their surroundings. There is something fascinating when an accomplished artist incorporates different method than usual, into the working ethics. Bhosle has a corporate business approach and that makes her wonderfully observant and thoughtful in her artistic perspective. She got her BA in Hospitality Management and an MA in Business Administration. She was already a successful marketing manager when she quit her job and dedicated herself fully to painting. She certainly can vouch that she had seen the world from the both sides. When painting she is working with live models and taking series of photographs. The surroundings she observes thoroughly with both the outer and inner perception. For Suchitra Bhosle, painting is a spiritual journey, and she paints with love. From the memories from the corner of her mind, she chooses the most vivid, the most colorful. Growing up in India gave her the wonderful opportunity to absorb the vastness of landscapes, the richness of color palettes and the spirituality that gives soul to her work. She paints portraits with delicate brush strokes, finding inspiration in impressionism and 20th-century realism. When she’s painting a woman’s body she is honoring the form, the beauty of the curves, she is celebrating the allurement. She is always beeing guided by intuition and when she chooses the topic for her work the story unfolds by itself. When she paints she aims to capture the atmosphere of the surroundings and to understand the mood of the person in a picture. The artist constantly explores and learns new technical skills, but when it comes to her poetic eyesight there is nothing more she could enhance. Bhosle sees human spirit as the main topic of her work, and she finds it present everywhere. It is the cultural heritage of her models, it is in the aesthetics of the small objects around her or in the modern architecture she lives in. The artist teaches at the painting workshop and continues to make wonderful art. 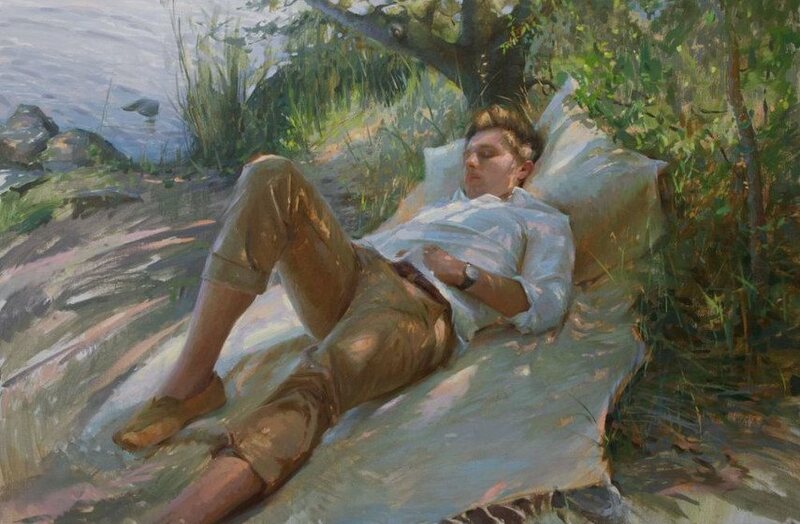 Her piece Siesta won her the Bold Brush Award in 2014, and her paintings have won awards at international shows such as The Portrait Society of America and Oil Painters of America. 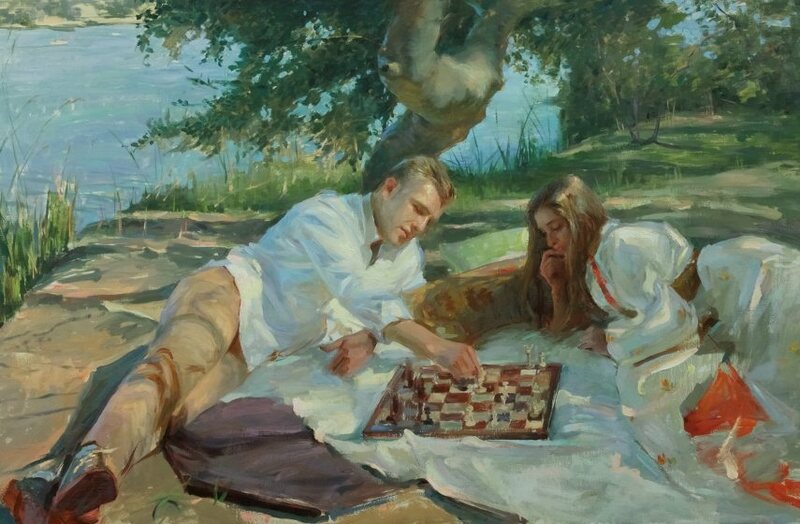 Suchitra Bhosle lives and works in Fair Oaks, California.